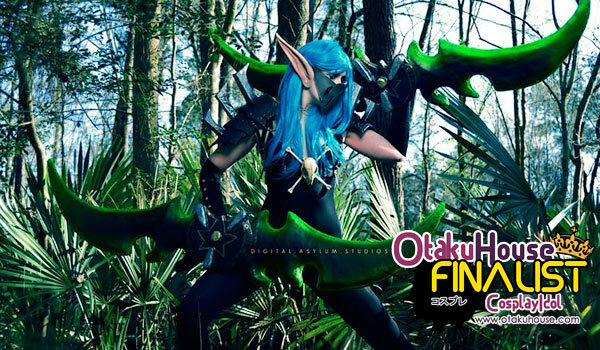 North American Finalist Jessica Yeates Night Elf cosplay in the qualifiers is a work of art! 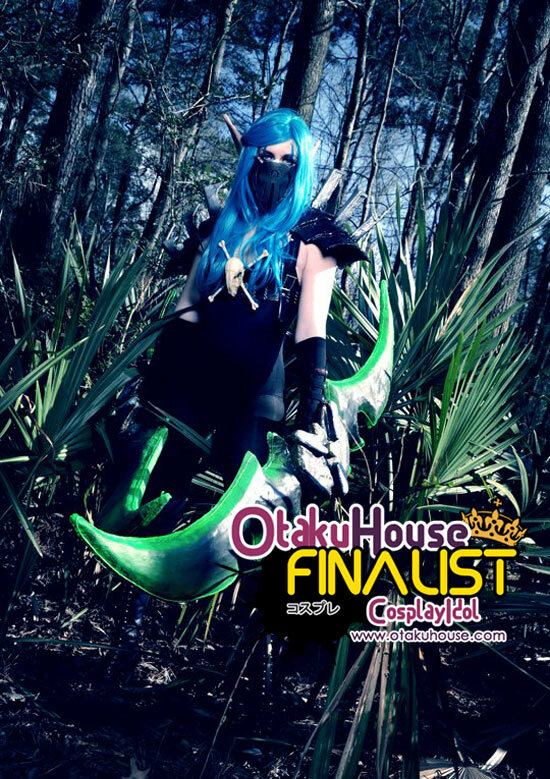 Below are more of her cosplay works. This was the first costume I ever made and started my new obsession with cosplay. I made the belt from scratch and added details and cut up a skirt I already had. I made the leather armour to cover my boots. I also made the staff I’m carrying and since it was the first time I had ever made anything like it I was really proud of it. I used a lot of foam carving that baby out and many coats of fiberglass. It turned out to be pretty resilient as I dropped it many times and it held up lol. This costume is my baby. I spent over a month and a half just hand carving the Warglaives of Azzinoth with a dremel tool. THey are extremely heavy but worth the weight of carrying it around. I also included el wire lighting around the edged to make it glow but it doesn’t show well in pictures. I love this costume so much I feel like such a ninja when I wear it! This was my first attempt at doing anything steampunk. I actually tore apart my dirt bike that I wrecked to get that giant cog on the front of my corset. I found a skirt and added some string and stitching to give it the gathered look since at the time I knew nothing of sewing lol. I absolutly love the wig that goes with it and wish I could wear it everyday lol. Jessica’s fantasy cosplays are something else! 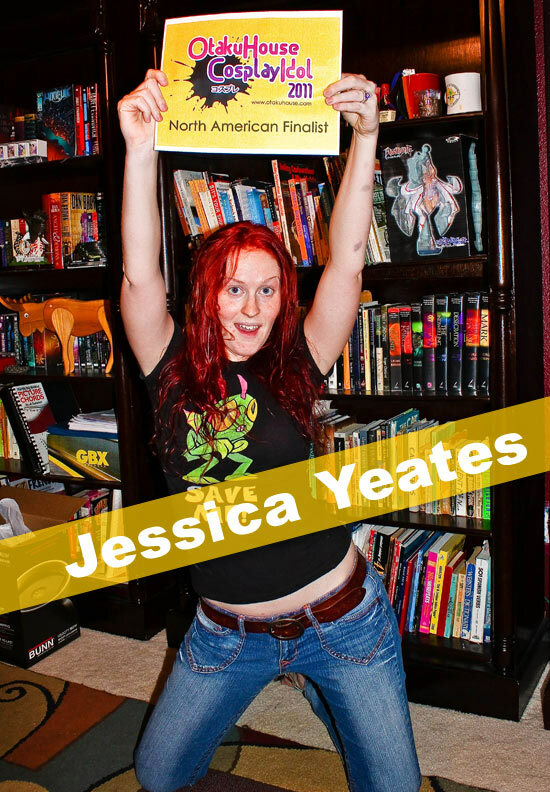 Support Jessica if you like her cosplays at the top of the page by clicking ‘like’ or ‘Google +1’!